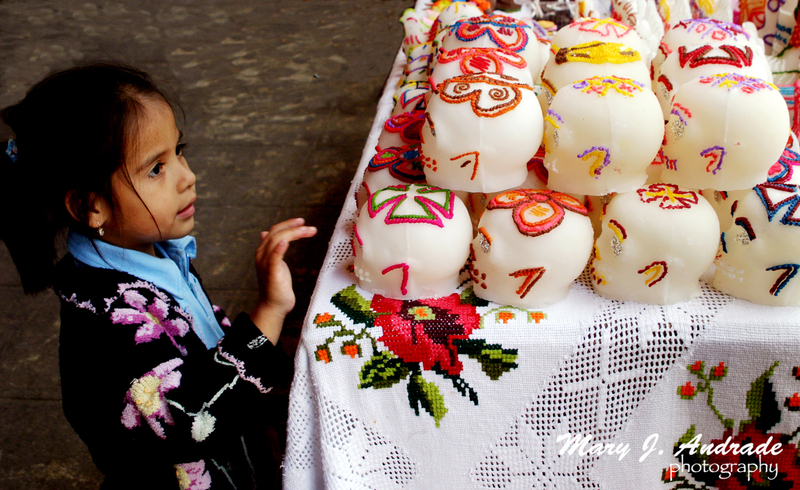 A girl admires the sugar skulls, Patzcuaro, Michoacan. 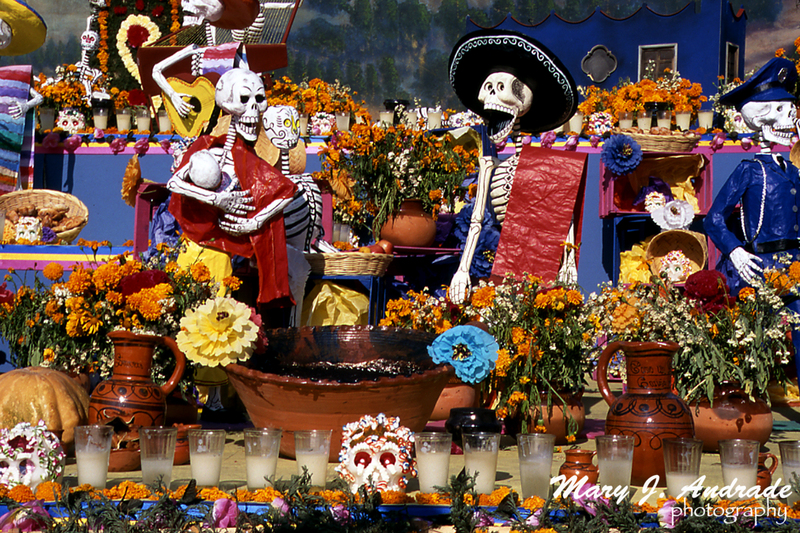 The Mexico Tourism Board (MTB) announced a new, multi-faceted campaign to bring tourists to Mexico during the annual Day of the Dead holiday that is celebrated all over the country. Encompassing both media and brand partnerships, MTB is also hosting an inaugural Day of the Dead Parade in the heart of Mexico City with the goal of drawing locals and tourists to experience this traditional holiday in a memorable way. 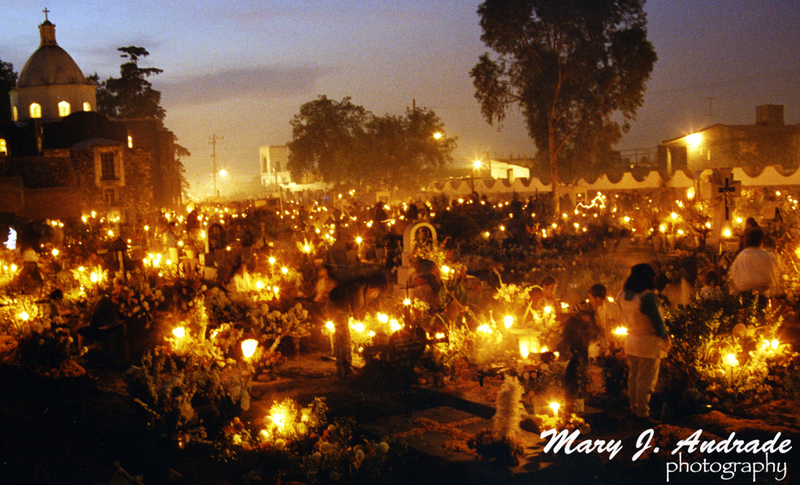 The Day of the Dead (Día de Muertos), an important festival in Mexico, celebrates the souls of departed loved ones. 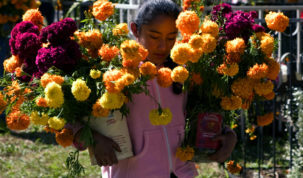 The traditions date back centuries, and origins of the festival can be traced back to Mesoamerican times when month-long celebrations were held. 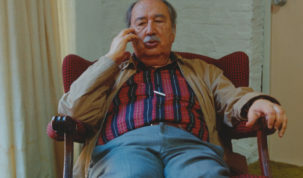 Although traditions vary by regions, an integral theme of the festival is welcoming back the souls of lost loved ones. 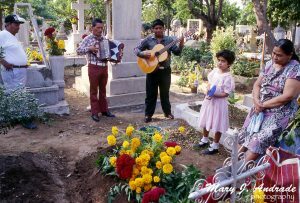 Family and friends of the departed decorate gravestones in bright flowers or build special altars in their home laid out with treats like sweets, liquor or gifts to entice souls back to earth for the day. 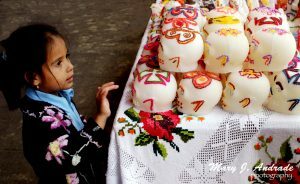 The most iconic of these offerings are las calaveras, or the sugar skulls, decorated and engraved with the deceased’s name for the holiday. Bakery with the windows decorated. The festivities are widely thought to be presided over by the goddess Mictecacíhuatl, wife of Mictlantecuhtli, Lord of the underworld. She is known as “Lady Death” or, more recently as “La Catrina”, a character created by artist José Guadalupe Posada. Her image has become a core part of celebrations across the country. On Saturday, October 29, Mexico City will host the first-ever Day of the Dead Parade, which will start at the Angel of Independence monument, go down Reforma, then towards the city center through 5 de Mayo Avenue. The parade route will showcase floats and costumed performers marching and dancing down the avenue, culminating in Mexico City’s iconic Zocalo square. 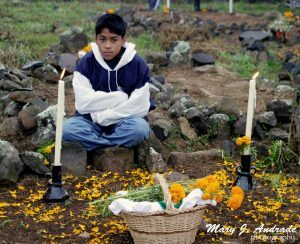 Vigil of the Little Angels, islad of Pacanda, Michoacan. 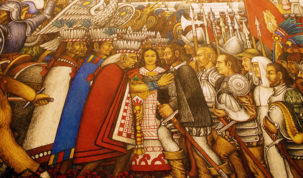 The parade can be enjoyed from 2 P.M. to 6 P.M CMT, and will be livestreamed via Facebook Live (www.facebook.com/VisitMexico) hosted by the popular Mexican talk radio show personality Martha Debayle. 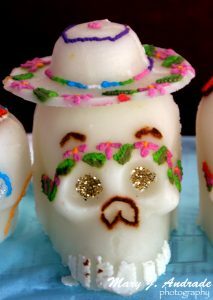 In addition, participating restaurants and hotels will be joining the revelry with their own Day of the Dead altars during the festivities. 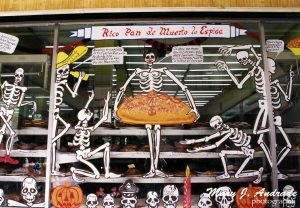 Tourists and locals are invited to dress in colourful clothing, wear sugar skull masks and flower crowns, and bring traditional treats, like bread of the dead, for a truly immersive experience. Additionally, the celebrations extend beyond just Mexico with a partnership with the legendary cultural and art magazine The New Yorker. In addition to digital and media elements throughout the month of October, an event was hosted in New York City on October 8. Consumers attended culinary demonstrations, Day of the Dead tutorials with Chef Joel Zaragoza as well as a mezcal and mixology class with spirits expert Steve Olson at New York’s Casa Neta restaurant. Vigil at the cemetery of Salina Cruz, Rehuantepec, Oaxaca. 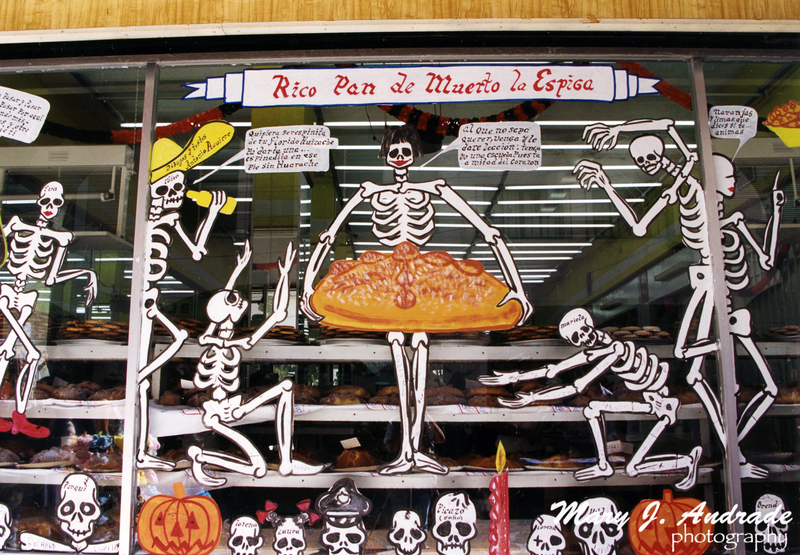 In addition to the event, The New Yorker launched a newsletter edition detailing the events and rituals surrounding the Day of the Dead to be shared with the outlet’s subscribers. Another media partner, National Geographic, will host a specialty photo collection for consumers in Washington, D.C. The collection, which opens on Nov. 3, outlines the traditions of the Day of the Dead throughout Mexico and the important role the celebration plays in Mexican culture and history. 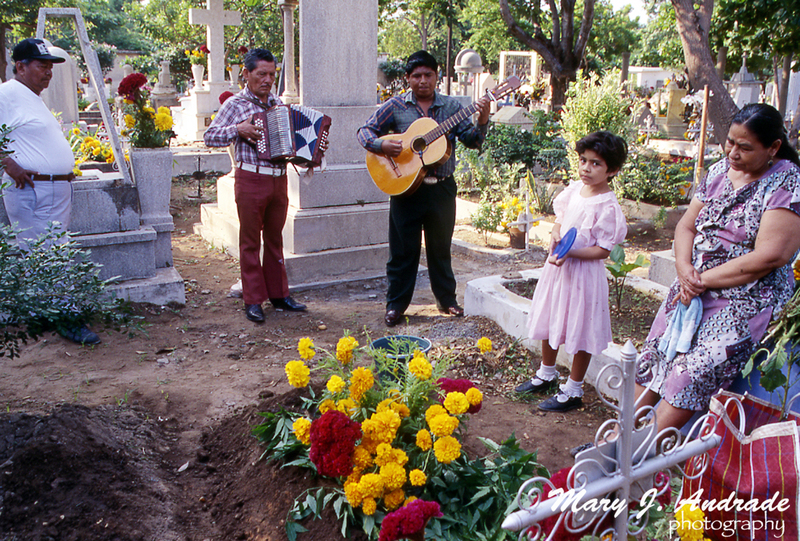 In Mexico, Grupo Expansión’s publications: Chilango, Accent and Aire, will feature special sections on Day of the Dead, the history of the event, and this year’s celebrations throughout Mexico. As part of the collaboration, Chilango, Accent and Aire will even offer individual booklets in each of their October or November print editions for consumers to deep-dive into the traditions of Day of the Dead, and see the ways they can join the celebration from anywhere around the world. Additional activities include special Day of the Dead content for social and public relations efforts, social media amplification through official channels, and experiential initiatives such as familiarization trips to experience Mexico City.